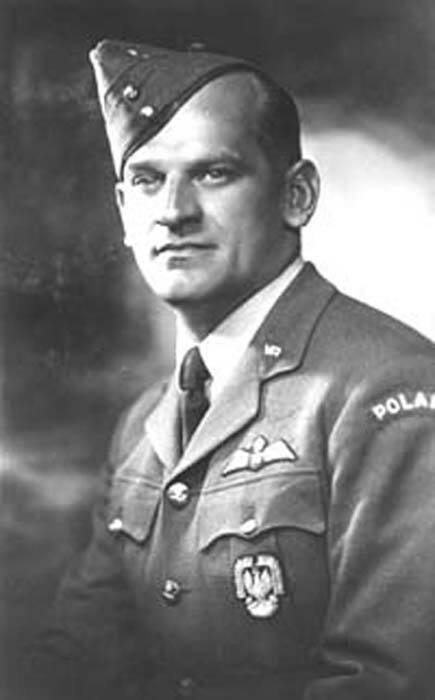 Tadeusz Chlopik was born on June 18th 1908 and served in the pre-war Polish Air Force. He escaped to England and, after converting to Hurricanes at 6 OTU, Sutton Bridge he joined the newly-formed 302 Squadron at Leconfield on August 3rd 1940. He claimed the destruction of a Do215 on his first day with the squadron. He transferred to the Polish Air Force in Britain on August 6th. 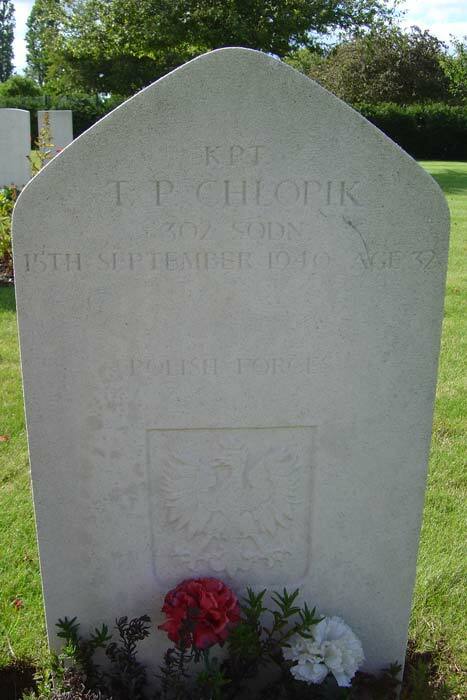 On September 15th 1940, after sharing in destroying a Do17, Chlopik was shot down in a surprise attack by enemy aircraft over North Weald. He baled out but injured himself doing so and he fell dead at Rawreth, Wickford, Essex (below). His Hurricane, P2954, crashed at Marks Farm, Woodham Road, Battlesbridge. 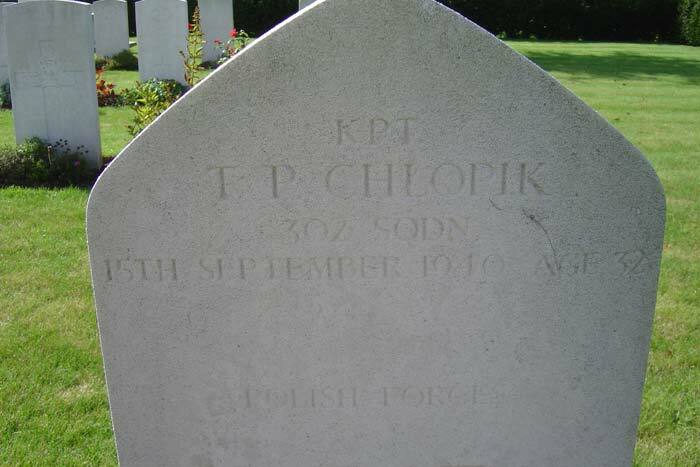 Chlopik is buried in Sutton Road Cemetery, Southend-on-Sea. 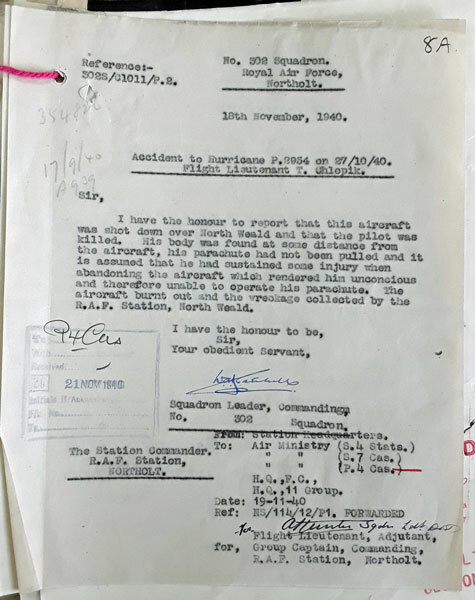 He was awarded the KW and Bar (gazetted 1st February 1941). 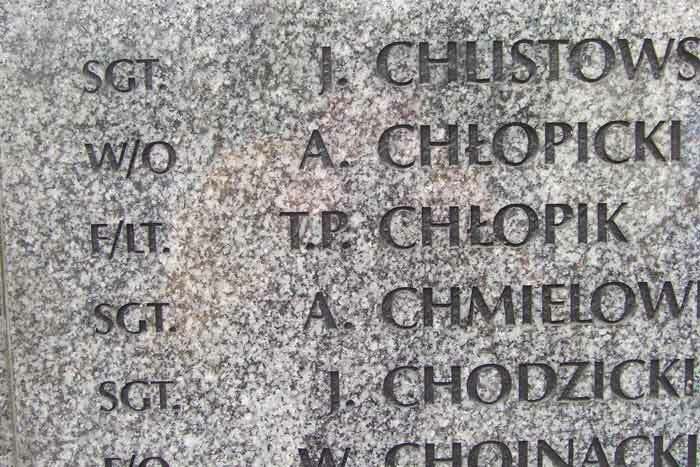 He is also commemorated on the Polish War Memorial at Northolt (below).